When you bought your last smartphone, what was the deciding factor? Was it the platform? That might be, as there are some people who love iOS and others who will choose any alternative. Was it the display resolution or processor power? The most technically inclined among us certainly consider those technical specifications important deciding factors. Yet for the average blogger, neither the platform nor the technical specifications represent the most important aspect of a smartphone. In terms of what a blogger needs from a smartphone, the major platforms are relatively equal. Perhaps BlackBerry falls a bit behind, because it doesn’t offer the widest array of apps. But when choosing between Android and iPhone, there’s really little difference when it comes to a blogger’s needs. They both offer apps and services that bloggers can use to their advantages. For instance, there is a dedicated WordPress app on every smartphone platform — even BlackBerry. That means you can make edits to your blog on the fly, no matter where you are. If you need more significant edits, all platforms have powerful browsers that can work through the WordPress Dashboard, just as you would on your desktop. All platforms also have an array of social media apps, so you can market your blog on the go as well. That is to say, every platform has all the tools a blogger needs. No matter what smartphone you choose, you’ll be able to run your blog to a reasonable degree. That means we have to turn elsewhere for a deciding factor. When it comes to choosing a smartphone, we should act like marketers. That is, we should be looking for benefits, not features. Yes, that quad-core 1.5GHz smartphone might sound fancy. That other smartphone with a ridiculous screen resolution might be attractive to us for a few reasons. But when we look at the benefits these features bring, we can see that they don’t quite matter as much as we might have thought. The iPhone 4, for instance, contains a 1GHz, single-core processor. Yet it still runs smoothly. 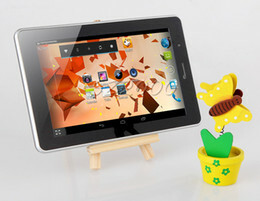 Its display is just 3.5 inches at 640 x 960 pixels, yet it still displays vibrant video. That is to say, the iPhone 4 is good enough for any blogger. Many, many bloggers indeed use the iPhone 4. It is clear, then, that bloggers do not necessarily need these high-powered phones. The difference between a single-core 1GHz processor and a quad-core 1.5GHz processor might matter to early adopters and tech geeks, but it’s just not a huge factor for the average blogger. That leaves us with one big factor that varies greatly from smartphone to smartphone. It is, indeed, the biggest deciding factor for a blogger. A dead phone is a useless phone. You can have the fastest processor out there. Your screen can display video of a quality equal to a large-screen HDTV. It can run on a 4G LTE network, streaming Netflix movies seamlessly. But if the battery runs out, it can’t do a thing. Battery life, then, means plenty to anyone who uses a smartphone regularly. If you’re using your smartphone to power and market your blog, then energy efficiency is your single biggest concern with a new smartphone. Android phones in particular run into the biggest battery life problems. There have been studies showing that ad-powered free apps can drain far more battery than paid apps. Since Google Play contains far more free apps than the App Store, that’s a big problem for Android. There is also the issue if Apple’s hardwired battery. The hardwired battery might be annoying for some reasons, but it overall provides a better battery experience. There are efficient Android phones for sure, but the new ones drain battery quickly. It can be a huge turnoff. With such a huge variety of smartphones on the market, every consumer is looking for a specific edge. What can this smartphone do that the other, less expensive smartphone cannot? Yet we’re far too often looking at fancy specs and stats that don’t translate to usability. Battery life remains the biggest divide between smartphones, and it’s a huge factor for heavy users. Since bloggers tend to use smartphones heavily, a long battery life could be the big difference. Joe Pawlikowski writes and edits several blogs across the web. He’s currently writing about his telecommuting and entrepreneurial experiences at A New Level. I know for a fact that the QWERTY phones are a dying breed, but would still think that smartphones with QWERTY keyboards are the best for bloggers. (although i do not consider BlackBerry in this argument). More phones along the lines of the HTC Desire Z or Motorola Droid should be made. Great review. Smartphones are the right hand of bloggers because you can’t be all day long on your computer. Maintaining a blog, when you are serious about it, requires full time moderating so a good smartphone is crucial for the blogger. What smartphone to buy is an important factor as well so i guess these tips are exactly what is needed. Smartphones are very compatible for bloggers. As i can see different smartphones, They usually uses wifi and querty keypads. Hey, thanks for sharing this. Smartphone’s are very beneficial for bloggers. If we want instant checking of emails and want to instantly reply on the posts, comments then Smartphone is best option because it’s more transportable. These all tips are beneficial for bloggers to buy best Smartphone. From my point of view, I consider that the perfect mobile phone for bloggers should have a large screen and a qwerty keyboard. The phone should also run fast and have a nice user experience. In this manner, I would be able to comment and post new articles without any issue. The Battery Life is indeed one of the most important factor when looking for any smartphone! I have my own personal experience about it! I got my Android device and whenever i use it for connecting it to wi-fi or to read blogs or anything online related, the battery juice gets down! I use my Android smartphone to blog on Tumblr and it’s great. I think blogging with your smartphone is really great and more people will do it very soon. From my point of view, I consider that the perfect mobile phone for bloggers should have a large screen and a qwerty keyboard.